We are excited to announce a new textbook to be published by Elsevier: "Brugada Phenocopy: The Art of Recognizing the Brugada ECG pattern"
Brugada Phenocopy: The Art of Recognizing the Brugada ECG pattern details all aspects associated with alternative electrocardiographic diagnosis to BrS. Coverage included how to identify the proper ECG pattern but also what to do to investigate for BrP, avoiding misinterpretations and the use of unnecessary expensive treatments. Chapters are written by experienced professionals, many of whom were the colleagues that initially described the condition. This easy to use volume is a must have reference for researchers of cardiology, cardiologists, electrocardiolgists, interests, emergency physicians, students, residents, and fellows. Congratulations to Dr. Li et al. for their important contribution to the world of Brugada Syndrome and Phenocopy literature. This paper is extremely important as it discusses the role of Brugada Phenocopy in Cardiomyopathies, one of the more challenging concepts within Brugada Phenocopy. Together, we have reached a milestone in BrP research. We now have over 100 cases of BrP (published and unpublished) registered in the International Database. This milestone represents the work of many physicians around the world who have taken an interest in researching Brugada Phenocopy. From submitting cases to the registry to furthering our knowledge by publishing cases with hypotheses for mechanisms behind the phenomenon. We would like to sincerely thank everyone for their interest and dedication in furthering research on BrP. We are thrilled to announce a project that has recently come out of Queen's University. “Electrocardiography In Practice: What To Do?” is a new and interactive digital textbook wholly designed and developed at the Department of Medicine, Queen's University. Targeting senior medical students, residents-in-training, practicing physicians, and health care providers, this resident-led initiative will help readers improve their diagnostic approach to, and subsequent clinical management of, twelve commonly encountered ECG problems. The book is available for free through the iTunes book store. Click here to download a copy to your iPhone, iPad, or Mac. We would like to thank Dr. Federico Ferrando-Castagnetto and Dr. Gustavo S. Vignolo for expanding our collection of Experts' Opinions. Their addition is the 6th of the series and gives us a perspective on the importance of differentiating BrP, BrS, and acute myocardial ischemia. Click here to read what they have to say on the topic and continue to check the Experts' Opinions for future contributions from BrP experts around the world. Congratulations to Dr. Gregory Dendramis on his recently published book entitled "Brugada Syndrome: Diagnosis, clinical manifestations, risk stratification, and treatment." Dr. Dendramis joined the BrP community after describing the first case of BrP due to coronary anomalies. The new book by Dr. Dendramis is an important step in BrP research as it is the first to include a chapter dedicated to recognition of BrP and the importance of differentiating it from BrS. We thank Dr. Dendramis for his continued contributions to BrP research and congratulate him on his new book. To read what Dr. Dendramis has to say about BrP, please click here. Please continue to check the News page to stay up-to-date on BrP research. Our team recently undertook a two-part study to test the notion that the ECG patterns of BrP are identical to those of BrS. As an important component of the diagnostic criteria, we have always considered the two patterns identical and therefore stressed the importance of the provocative test using a sodium channel blocking agent. The first part of our study was aimed at determining whether experts in the field could correctly differentiate between the patterns of BrP and BrS. We tested 10 international experts in the field of BrS by providing ECGs without clinical history. These experts were asked to diagnose each ECG as either a Brugada ECG pattern or not. Click here to read the full abstract and article. We found that neither international experts nor the ECG criteria were able to reliably and accurately distinguish between the ECG patterns of BrP and BrS alone. This information highlights the importance of the diagnostic approach for BrP. Clinical history along with a provocative test with a sodium channel blocking agent is imperative in the distinction between the two conditions. Thank you for your continued visits and interest. Continue to check the News page to stay up-to-date on BrP research. There have been a number of publications recently, and in the past, that describe a Brugada ECG pattern in the context of Aluminum Phosphide or Zinc Phosphide poisoning. Unfortunately, there is a high mortality associated with phosphide ingestion, however in the patients that have survived, we are beginning to notice a trend towards BrP. All of the patients described thus far have a negative personal and family history of BrS and show resolution of the Brugada ECG pattern upon resolution of the poisoned condition. These features are suspicious of BrP rather than unmasked BrS. Unfortunately, we have yet to find a case in which a provocative test was performed. Therefore, these cases have been included in the registry as Type 1B or 1C BrP under the category of Metabolic Conditions. We will continue to scan the literature for more cases and novel causes of BrP. As always, we thank you for your visit and interest. Continue to check the News page to stay up-to-date on BrP research. We would like to thank Drs. Agrawal and Nanda for expanding our collection of Experts' Opinions. Their addition is the 5th of the series and explains how they applied the diagnostic criteria and avoided invasive therapy following the diagnosis of BrP. The paper entitled Brugada Phenocopy: new terminology and proposed classification by Baranchuk et al, published in 2012 in the Annals of Noninvasive Electrophysiology, has recently reached 50 citations. A big thank you and congratulations to Dr. Gregory Dendramis on contributing his perspective on Brugada Phenocopy. His contribution is the fourth in a series of expert opinions on various BrP topics. Click here to read what he has to say on the topic and continue to check the Experts' Opinions for future contributions from BrP experts around the world. We are thrilled to announce that our website has reached 2000 unique visitors. We would like to thank everyone for their support over the past year through visiting the website, submission of cases, and continued discussion in the literature. We are thrilled to announce that Dr. Velislav N Batchvarov, a well known researcher at the Cardiovascular and Cell Sciences Research Institute of St George's University of London, UK has recommended visiting brugadaphenocopy.com in his recent publication "The Brugada Syndrome - Diagnosis, Clinical Implications and Risk Stratification." We thank Dr. Batchvarov for taking an interest in our website and suggesting his readers pay us a visit. To read his recent publication, please click here. We are happy to announce that the international registry and online educational portal has received 1000 unique visitors since it's launch in July, 2014. We would like to thank everyone who has contributed to the online educational portal through submission, communication, and continued support in visiting the website. Check the news section regularly for the latest news on BrP. For a list of our latest publications, check the latest publications side bar or our new Publications webpage. A big thank you and congratulations to Dr. Andrés Ricardo Pérez-Riera on contributing his perspective on Brugada Phenocopy. His contribution is the third in a series of expert opinions on various BrP topics. We are thrilled to announce that the international registry and online educational portal received an average of 60 visitors per day during the month of August! Since it's launch in July, 2014, the webpage has been viewed by over 700 unique visitors. We have received submissions of new cases, updates on current cases including a case that was upgraded from a Class B to Class A, and been contacted by clinicians around the world regarding Brugada Phenocopy. We would like to thank everyone who has contributed to the online educational portal through submission, communication, and continued support in visiting the website. Congratulations and thank you to Dr. Zhan Zhong-qun from Shiyan City, China on the submission of two unpublished cases of BrP to the International Registry. Both cases are in the context of pulmonary embolism; the first is a Type-1B BrP, the second being a Type-2B BrP. They have under the category Ischemia and Pulmonary Embolism. 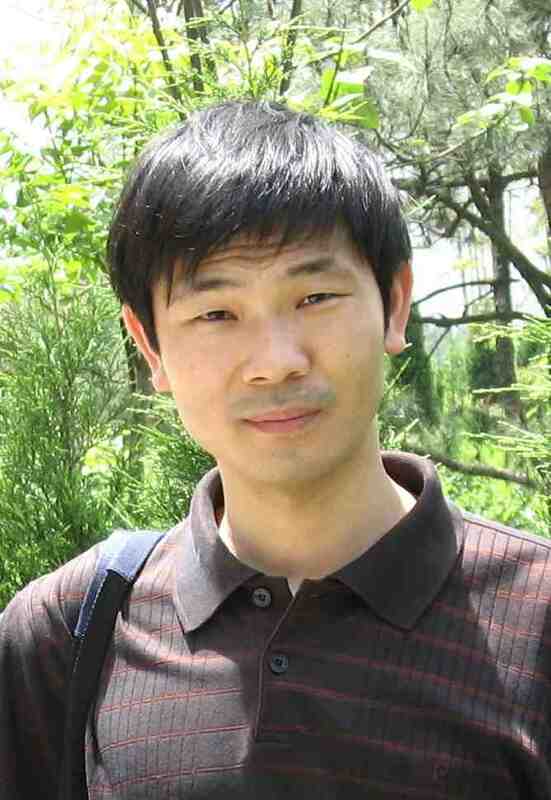 We would like to thank Dr. Zhong-qun for his contribution to the registry and welcome submission of future cases. To submit your unpublished case of BrP, please click here. Vice director of Department of Cardiology at Shiyan Taihe Hospital, Shiyan City, China. Congratulations and thank you to Dr. Carlos Labadet from Buenos Aires, Argentina on the submission of his unpublished case of BrP to the International Registry. The case involves a BrP in the context of an intracranial hemorrhage and is the first case of BrP associated with a neurological condition. It has been included in the registry as a Type-2A BrP under the category Miscellaneous. We would like to thank Dr. Labadet for his contribution to the registry and welcome submission of future cases. To submit your unpublished case of BrP, please click here. Chief of Electrophysiology and Pacemaker at Hospital Argerich, Buenos Aires Argentina. Chief of Electrophysiology at C.E.M.I.C, Buenos Aires Argentina. Former Director of the Arrhythmia Council of the Argentine Society of Cardiology. Electrophysiology Medical Staff at Clínica y Maternidad Suizo Argentina. 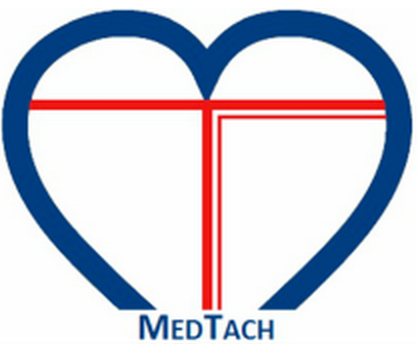 Member of the Argentine Society of Cardiology. Congratulations and thank you to Drs. Josep Brugada and María Emilce Trucco on the submission of their unpublished case of BrP. Dr. Trucco submitted the case of a 53-year old male who presented to his family doctor for screening as part of the admission requirements for a gym membership. The patient had no history of syncope or family history of sudden cardiac death. His physical exam was normal. An ECG revealed ST-segment elevations typical of the Type-1 (or "coved") Brugada ECG pattern (see below). The patient was sent to the Brugada group for a consultation. Based on the consult ECG, a pharmacological challenge test with flecainide was performed; the results were negative. Due to the ECG abnormalities, a cardiac MRI was performed which demonstrated apical and antero-septal hypertrophic cardiomyopathy. This is the first appearance of hypertrophic cardiomyopathy as an etiological cause of BrP in our registry. 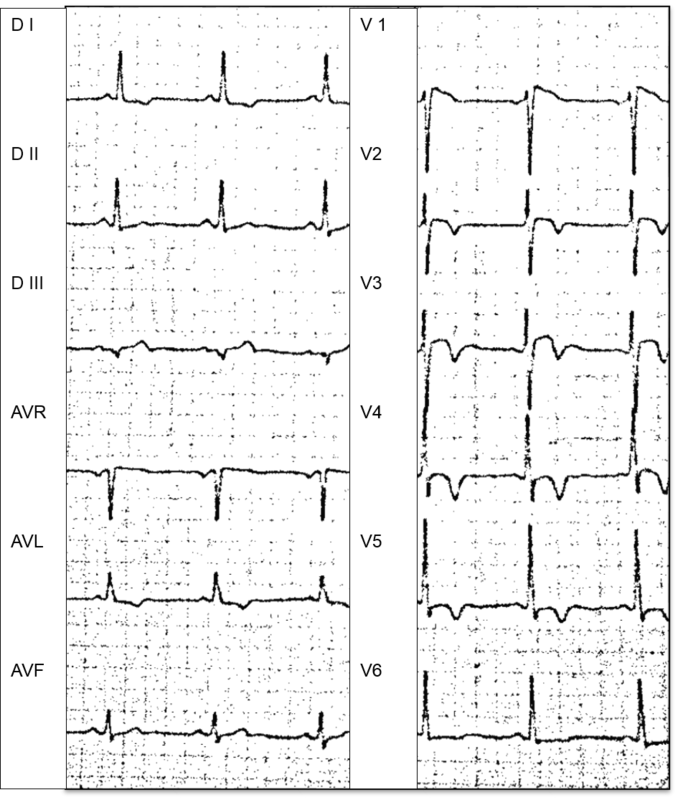 As this patient does not require a myectomy to correct the condition, this case does not meet the mandatory diagnostic criterion "The ECG pattern resolves upon resolution of the underlying condition". Therefore, the case has been included in the registry as a Type-1B BrP under the etiological category of "Myocardial and pericardial disease"
We would like to thank Drs. Trucco and Brugada for their contribution to the international registry and welcome future submissions. To submit your unpublished case of BrP, please click here. Josep Brugada Terradellas, MD, PhD, FESC. Cardiologist, Specialist in Biology and Sport Medicine, MBA Management in Health Services. 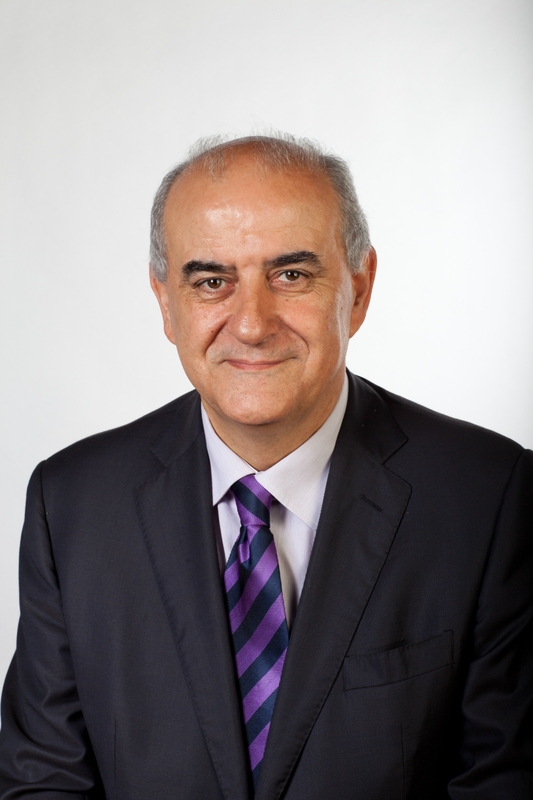 Former Medical Director (2008-2014) of the Hospital Clínic de Barcelona, Head of the Arrhythmia Section of the Pediatric Hospital Sant Joan de Déu and Past President of the European Heart Rhythm Association. To date, he has published more than 400 original papers in the most relevant international journals. He is member of several scientific societies and has been Professor of Medicine at the University of Barcelona since 1998. Clinical EP Fellow. Institut Clínic del Tòrax, Hospital Clínic, Barcelona, ​​Spain. Medical Researcher at the Fundació Clínic, Barcelona, ​​Spain. Masters in Clinical Cardiac Pacing and Electrophysiology at the University of Barcelona, Barcelona, ​​Spain. Electrophysiology Staff at the Hospital de Manises, Valencia, Spain. Certification in Interventional Cardiac Pacing, ICD and Cardiac Resynchronization Therapy from the European Heart Rhythm Association. Certification in Clinical Electrophysiology from the European Heart Rhythm Association. Congratulations to Drs. Asteriou and Barbetakis from the department of Thoracic Surgery at the Theagenio Cancer Hospital, Thessaloniki, Greece on the confirmation of their suspected case of BrP. We would like to thank and congratulate the authors on the confirmation of their case. This is the second case of BrP to be confirmed using the online educational portal. A big thank you and congratulations to Dr. Antoni Bayes de Luna on contributing his expert opinion on the importance of recognizing Brugada Phenocopy. His contribution is the second in a series of expert opinions on various BrP topics. 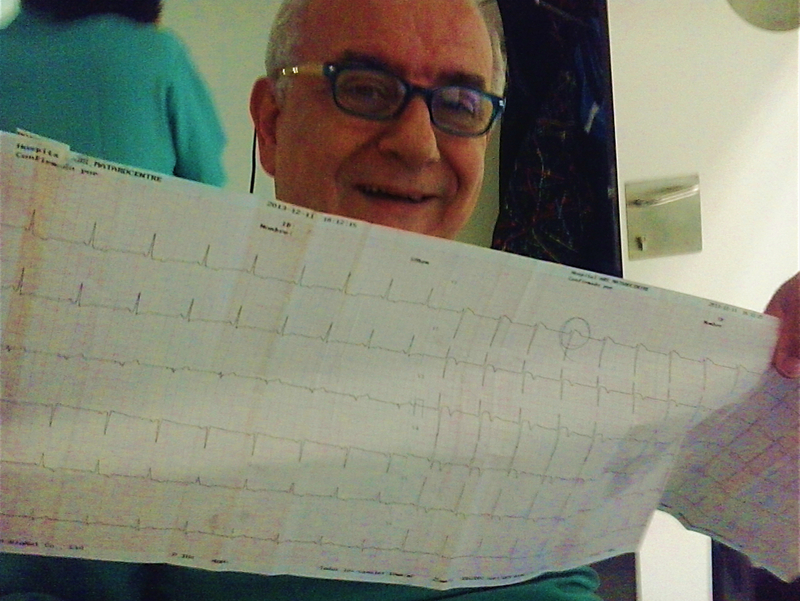 Dr. Bayes de Luna, a cardiologist from Catalunya, is an expert on electrocardiograms and has written a number of articles on the topic of Brugada phenocopy as well as Brugada Syndrome. 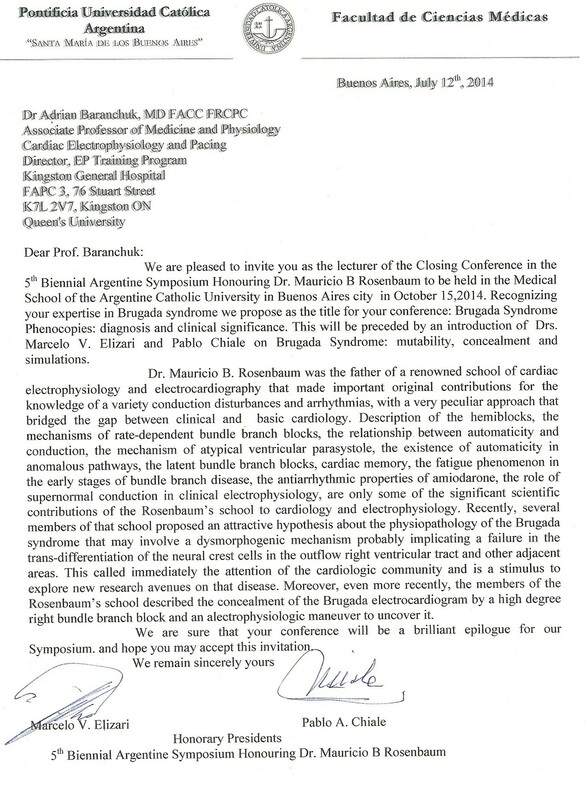 Our group has been invited to deliver a presentation on Brugada Phenocopies in the 5th Biennial Argentine Symposium Honouring Dr. Mauricio B Rosenbaum in Buenos Aires in October. The topic of this symposium, hosted by the group that postulated the "Neural Crest theory" (also known as the Buenos Aires theory), surrounds Brugada Syndrome. In recognition of Brugada Phenocopy, we have been invited to discuss the diagnosis and clinical significance of this recently described clinical phenomenon. García-Niebla and colleagues were the first to publish a case of BrP in the context of a high pass filter in 2012. Congratulations to Arce et al on performing a provocative test to complete the diagnostic criteria for their case, previously a Type 1B BrP. With the negative Ajmaline test result, this case is now classified as a confirmed Type 1A BrP. Their manuscript entitled Brugada electrocardiographic phenocopy in a patient with chronic Chagasic cardiomyopathy , published in 2010 in the journal Cardiology Journal adds to a growing number of confirmed cases of BrP. The paper entitled Brugada Phenocopy: new terminology and proposed classification by Baranchuk et al, published in 2012 in the Annals of Noninvasive Electrophysiology, has recently reached 30 citations. In June 2014, Professor Dr. Adrian Baranchuk presented an update on Brugada Phenocopy at the 41st International Congress of Cardiology held in Bratislava, Slovakia. Please click here to download his presentation.